California Chamber of Commerce employment law experts will explain how recent California and federal laws, regulations and court cases apply to California employers in a live webinar. The 2019 Employment Law Updates Webinar is set for Thursday, January 31. 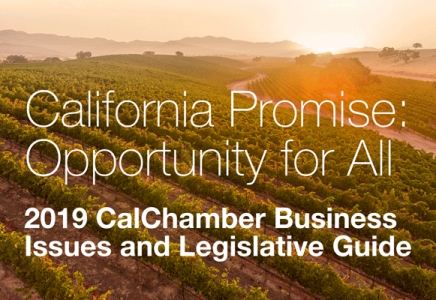 “Many new employment laws will affect employers in 2019, so businesses need to take note and ensure they are in compliance,” says Erika Frank, CalChamber executive vice president, legal affairs and general counsel. Application of federal de minimis rule for minimal amounts of time worked (unpaid or off the clock). Midyear updates to laws and regulations. Erika Frank, executive vice president, legal affairs, and general counsel. She joined CalChamber in April 2004 as a policy advocate and general counsel, leveraging her 10 years of legal, governmental and legislative experience. Named vice president of legal affairs in 2009 and executive vice president at the start of 2017, she is CalChamber’s subject matter expert on California and federal employment law. Frank oversees and contributes to CalChamber’s labor law and human resources compliance publications; co-produces and presents webinars and seminars; and heads the Labor Law Helpline. J.D. McGeorge School of Law. Erika Pickles, employment law counsel and HR adviser. She joined CalChamber in 2015 as employment law counsel and a Helpline HR adviser. 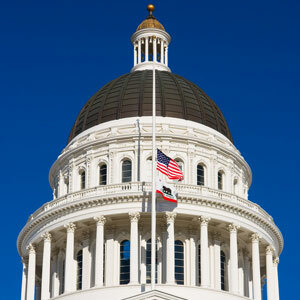 She previously represented employers in California and federal employment law litigation, class actions, and private arbitration involving a range of workplace-related issues, including wage-and-hour, discrimination, harassment, retaliation and wrongful termination claims. Pickles also investigated and responded to administrative claims before state and federal agencies, and conducted employment law training seminars. J.D. University of San Francisco School of Law. Bianca Saad, employment law subject matter expert, joined CalChamber in April 2018. She oversees CalChamber coverage of the ever-expanding area of labor-related local ordinances and serves as a co-presenter for CalChamber compliance seminars and webinars. Saad brings the perspective of an employee representative, coming from nearly eight years in private practice as an employment law and litigation attorney. She has represented plaintiff workers in wage-and-hour disputes, employment whistleblower claims, personal injury matters, and employment discrimination, harassment and retaliation cases. J.D. California Western School of Law. For more information or to register for this live webinar, call (800) 331-8877 or go online. The cost is $199 ($159.20 for CalChamber Preferred and Executive members). This webinar is optimized for viewing on mobile devices, and approved for 1.5 HR Certification Institute (HRCI) recertification, Society for Human Resource Management (SHRM) professional development and Minimum Continuing Legal Education (MCLE) credit hours. The webinar purchase includes a recorded version that’s available after the live event.